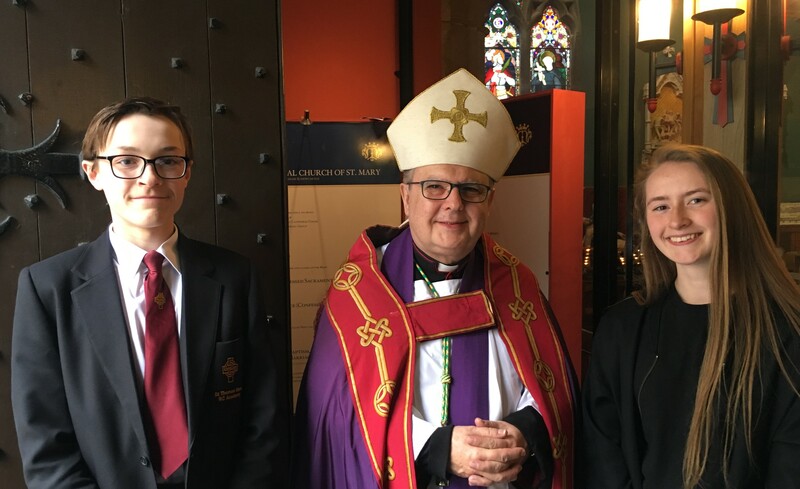 On Tuesday March 26th, students and staff gathered from every Catholic primary and secondary school in our Diocese to welcome Bishop Robert Byrne, our new Bishop of Hexham & Newcastle Diocese. 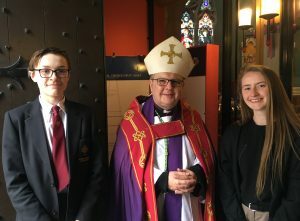 St. Thomas More was represented by John Campbell in Year 10 and Rebecca Mould in Year 13 who attended on behalf of all our students. Our staff was represented by Michael, our Chaplain, Mr Merchant and Mr Watson. Bishop Robert introduced himself in a warm and friendly way, and offered some words of advice to our young people – talk to God, listen to God and proclaim God through your actions! We welcome Bishop Robert to our Diocese, and we look forward to welcoming him into St. Thomas More to meet us.